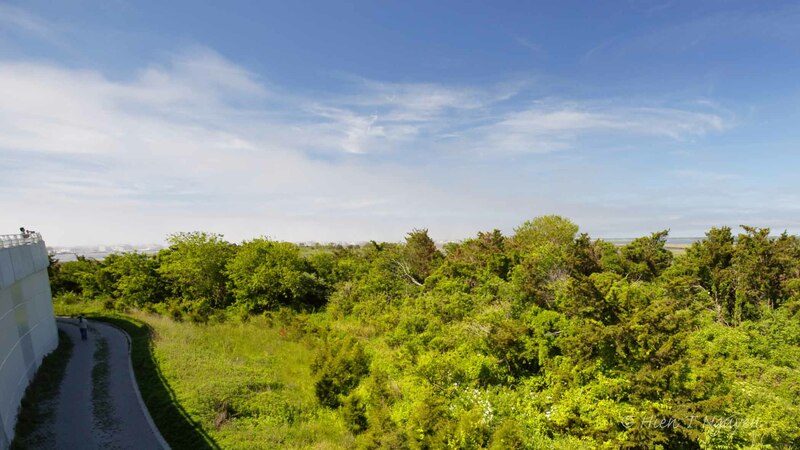 Yesterday I went back to Ocean City Welcome Center to check on the Night Herons, both Yellow-Crowned and Black-Crowned kinds. 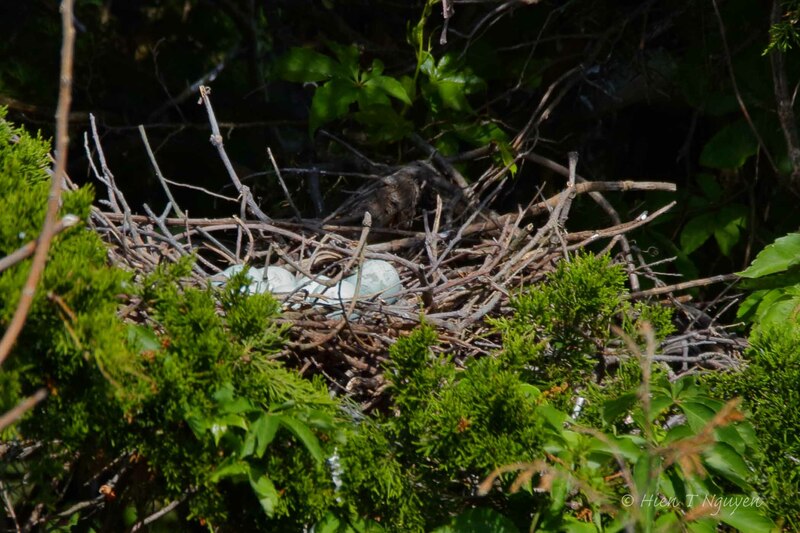 They now have eggs, and this was the first time I was able to photograph bird eggs in their nests. 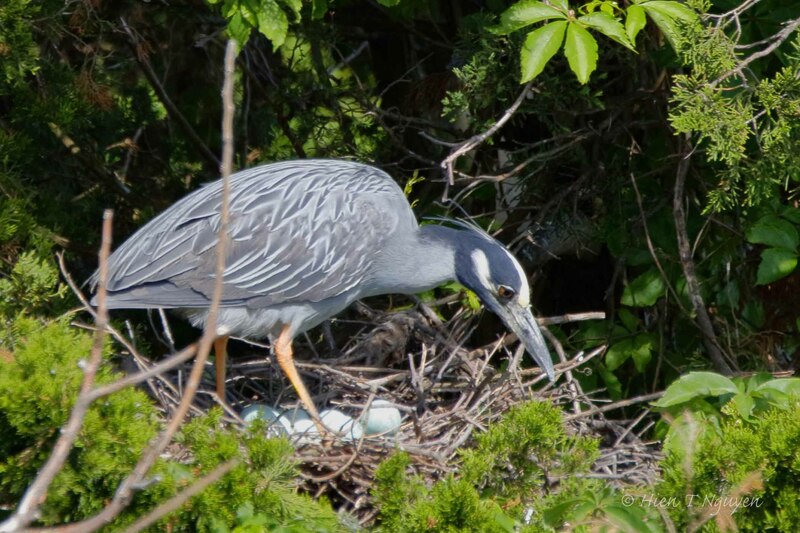 Yellow-Crowned Night Heron eggs. The parents left them untended for about a minute. 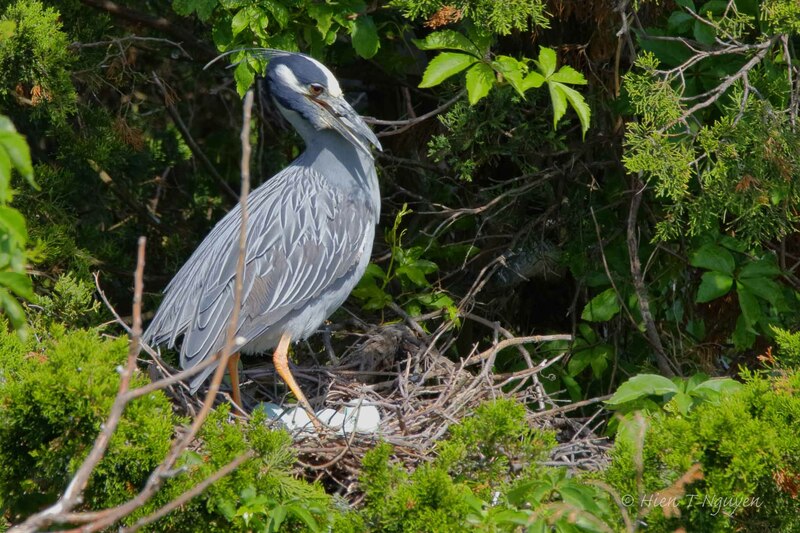 Yellow-Crowned Night Heron re-arranging nest. 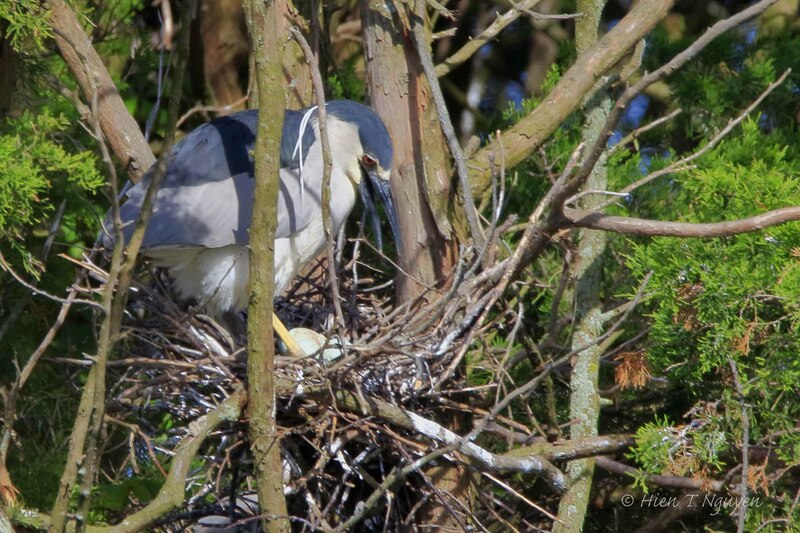 Yellow-Crowned Night Heron breaking another branch to add to nest. 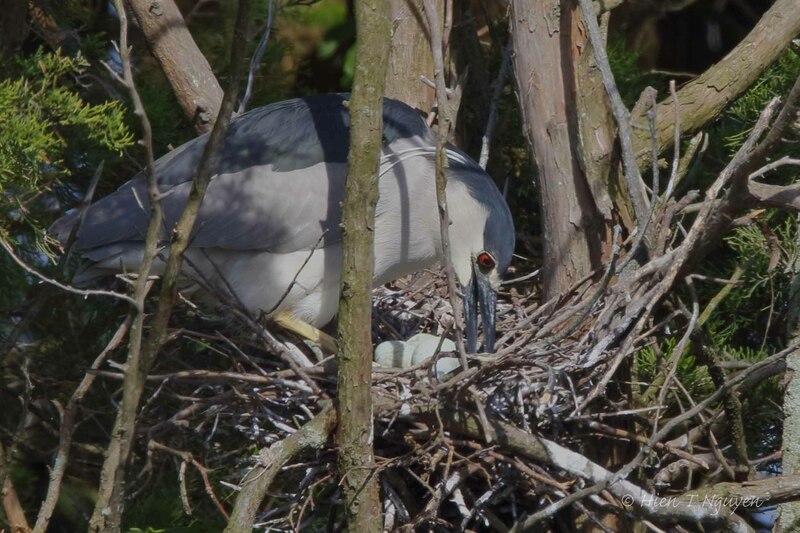 Black-Crowned Night Heron with eggs. 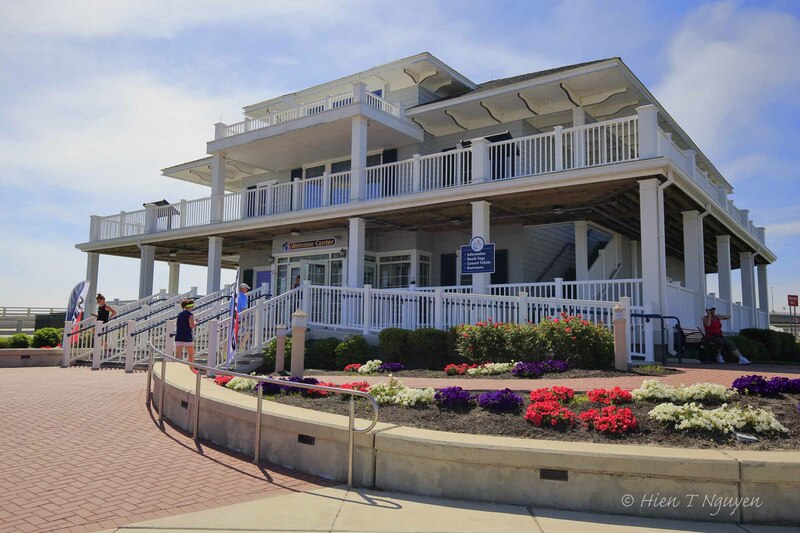 In case your are wondering, here’s a picture of Ocean City Welcome Center. And here’s a shot of the place from where I’ve been photographing the Night Herons. Observation railing at Ocean City Welcome Center. Two photographers are in the picture, one at the railing, and another walking in the shadows on a path below. 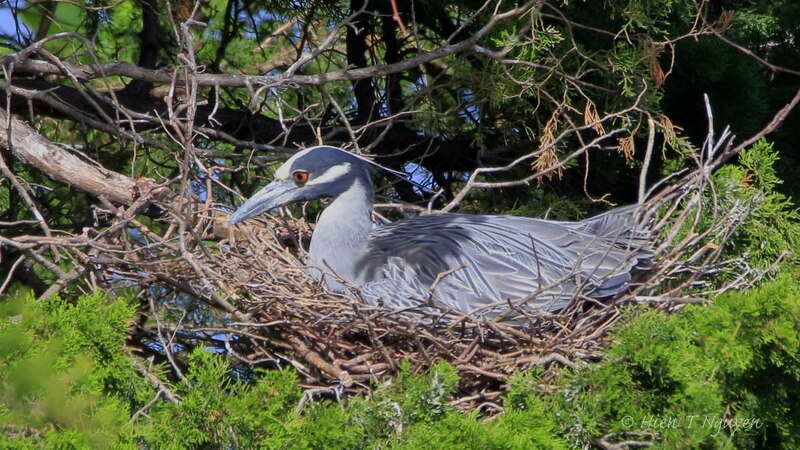 Finally, a photo of a Night Heron incubating. Incubation lasts up to 25 days, so next week, there may be new hatchlings. What a great adventure this would be ~ watching the moments unfold. The beauty of nature, pieces of life that would otherwise go unnoticed. Great shots Hien. Beautiful captures of the beginning of new life!! Great eye to capture the eggs unattended! Thank you Sure! I saw the heron leave its nest and clicked away while wondering how long he/she was going to be gone. You are welcome! I thank you for stopping by and commenting. Wow!You caught them tidying up and reconstructing their little sweet home!Wonderful action & egg shots,Hien! Thanks Doda! I did not expect to be able to witness this, but the Welcome Center is the perfect place to capture these photos, and the herons did not mind at all. How wonder to capture this moment! Love it!